Ready for some new carpeting in your home? Then you should get ready to shop around. 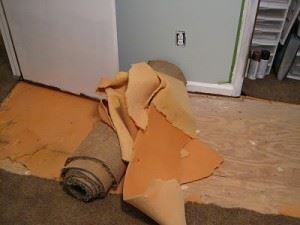 As soon as you decide on taking the plunge for new carpets you’ll be amazed at how many flyers and circulars that you once ignored now make perfect sense. Despite the great deals you might stumble upon, you might be shocked to discover that the same carpeting being offered at once company will be extremely discounted at another. It pays to go the extra mile or two to find a good bargain. Just keep an eye out for hidden fees on all of those carpet quotes. Before you get to the money, you’ll actually have to decide on which type of carpet you want installed. Basically you can go plush or Berber but within each of those categories are all kinds of subsets of fabric and quality. A carpet that is $1.50 per square foot might seem like a good deal but when you bump up to $2.90 per square foot you might find a longer lasting fiber. This is important if you’re carpeting high traffic areas in your home. Good carpeting is one thing but it won’t amount to much unless you have an equally good padding underneath. You can just put carpet down on hardwood floors and think you’re done. To cut back on noise and to give your feet a cushion, make sure your padding is absorbent and long lasting as well. Your carpet installers might seem like a nice bunch of workers but that doesn’t mean they’re going to be providing you with free services. There will most likely be a charge to move your furniture and remove your old carpet. You can avoid those hefty costs by doing some of this work with a company like Junk King Colorado Springs. Junk King is a junk removal specialist who handles a wide variety of hauling assignments. Rolling up an old carpet and tossing it on the back of their truck will be a snap for them to accomplish. They’ll also make sure your carpet is properly disposed of. That means dropping it off at a certified landfill or recycling center. Ever since they opened for business, Junk King Colorado has gone green and getting rid of carpets is no different. The same can be said of all the junk they remove. The JK crew will sort and dispose of your junk the right way whether that means recycling or refurbishing. You won’t have to worry about where you junk is going to end up with Junk King on the job. This entry was posted in carpet disposal, Colorado Furniture Recycling, Colorado Junk Hauling, Colorado Springs Junk Removal and tagged Colorado Carpet Disposal, Colorado Carpet Removal on March 28, 2013 by John Busby. Last updated August 2, 2017 .